31 days guys. 31 days before Christmas!!! Whoa. 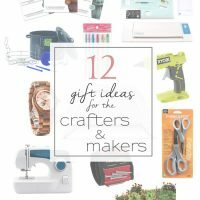 To help you get in gear for all that shopping you need to do, I gathered 25 of my best blog friends to bring you a full week’s worth of crazy helpful, thoughtful, and creative gift guides PLUS, each blogger will be hosting a giveaway for one of the items on their guide! So while you’re kicking back with family this week (happy Thanksgiving to my US friends!) 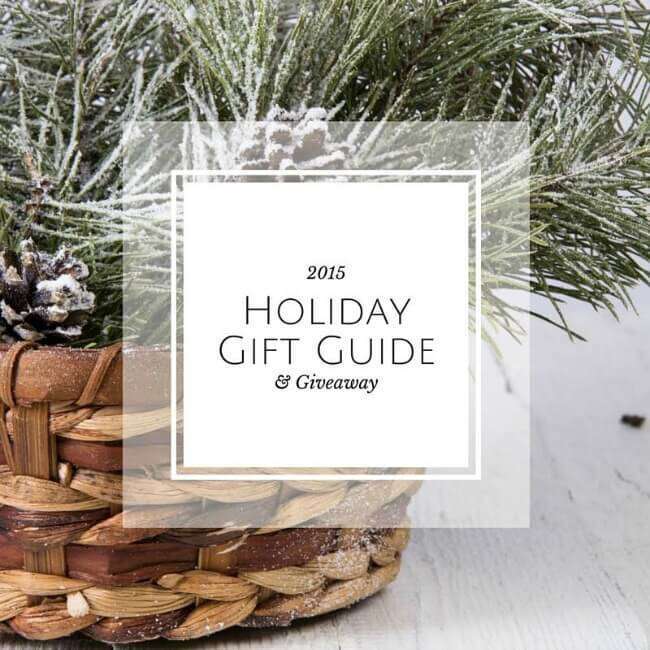 get a head start on that shopping with these wonderful guides! let’s face it, this may be put on my own list as well! Talk about convenient, and there’d be so many more dishes she could make with the flexibility of starting it remotely. My MIL is the cutest and she’s adorable in vests. I think I’ve gotten her one the past two years or so but I thought this one was classic and gorgeous. Whether your MIL is a little bit sweet, a little bit sassy, or a little bit silly, these awesome mats from Nickel Designs make a statement at her front door. I have a custom anchor one that we LOVE but hope to add some of the funny ones to our entry someday too. I especially like the “shut the front door” one. Spoiler alert: Stick around to the end of the post to see how to score one of these cuties for yourself!! I got my mom, MIL, and myself one of these last year and we love them. They’re so pretty and organize alot of pieces, plus I love that they’re monogrammed. Give her a beautiful dish for those classics she’s known for. If your MIL is a Fixer Upper fan (or even if she’s not), their classic Magnolia leaf wreaths are beautiful and are so easy to decorate with. Pretty much no description needed here. Some uber-nice knives for his famous steaks. I’ve gotten my FIL a few of these over the years (as well as for the husband too) and they love them. They hardly ever wrinkle, are lightweight, and come in a zillion colors and styles. Great for fish, veggies, wings, and apps, plus it will help keep his grill cleaner. Ok, there’s some serious voodoo going on in these things. We got a couple this summer and I’ve done a few experiments in mine to see how awesome it really is. Well…the average time mine holds ice is 24 hours. 24 HOURS!!! Again, I don’t know how they do it but it’s pretty much life changing. No cup will ever compare. A father-in-law (and husband) classic. They have a ton of awesome styles to choose from now. Every cool guy needs a fancy way to serve up the whiskey. I love the monogrammed ball stopper on this one. We visited this store when we were in Cooperstown this summer and it was the coolest mix of vintage baseball meets hipster meets humor. 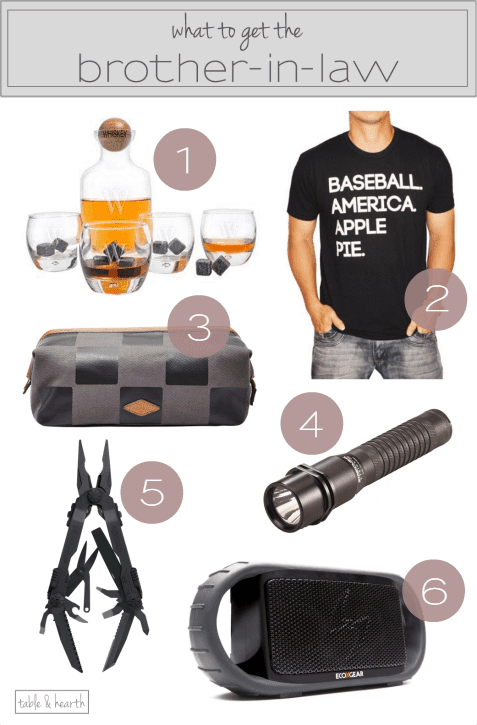 If your BIL is a big baseball fan, they’ll love all of their items. I actually got the “6+4+3=2” shirt for myself there, a nod to our love for keeping score at each game we go to (it’s a common double play). Matt got one of these from his brother a couple years ago and it’s amazing. Small but super bright and powerful, with its own little charging dock/charger. There’s a million styles to choose from too. Ok, I want this one myself too. Matte black brings it to ultimate cool-guy status. Also something the husband got a few years ago that we LOVE. This thing has been everywhere with us; on the patio for a party, in the garage for DIY work, on the boat for fishing, and to the beach. Never an issue with water or sand and it stays charged forever. Because every girl needs like three pairs of these. Even down here. When used in conjunction with #1, heck, #6 too, that’s one cozy chick! My SIL is a little jetsetter so I though this cute Kate Spade passport holder would get some good use. There’s also a matching wallet that’s just as adorbs. I swear by Stitch Fix for keeping me looking like a girl, and what chick wouldn’t want to be pampered with a custom wardrobe right at their door every few weeks or so? Give her a multitude of outfit options with a Stitch Fix gift card to go along with her membership. Ok, on my list too. I saw my first pair in person this weekend and fell in love. Every girl should have a pair of these. I am obsessed with throws that have big tassels or pompoms right now and think the blue of this one is beautiful with the little fur poms. Cozy cozy cozy. Now, how ’bout I give someone a head start on their shopping list! One lucky reader will win their choice of an awesome doormat from Nickel Designs on Etsy, up to a $50 value!! If you just can’t wait to see if you’ve won, they’re also giving y’all 15% off your order with code “TABLE15”! 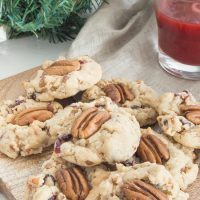 Now, don’t forget to hop around to see what my fabulous bloggy friends have gathered for you ALL WEEK LONG and be sure to enter each and every giveaway for your chance to win a ton of AHHHMAZING prizes!!! Keep in mind that these links will only work as the posts go live on their scheduled morning. A few of your items are on my list as well (or very similar versions!). Good taste girl. Great minds Ashley… ;) Heading over to peruse everyone else’s now! SO many great ideas Emily! 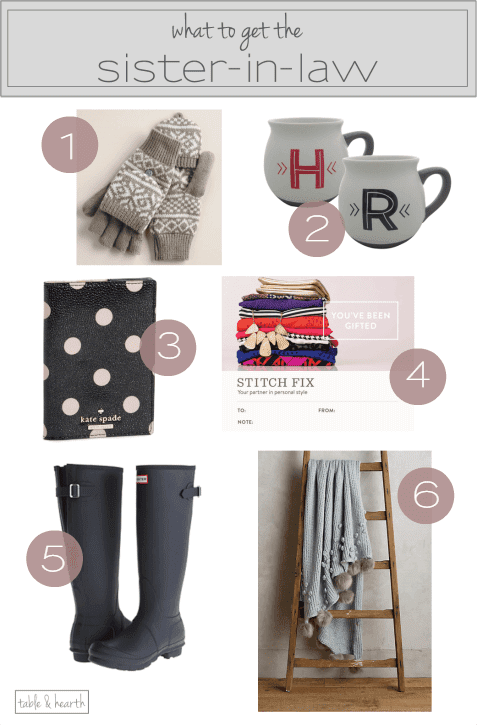 I’ve got those same Hunter boots on my own wish list! And such a lovely giveaway!!! I wish the weather here made them more necessary, but you know I’d be wearing them anyway ;) If you get them I TOTALLY want pictures! So, I never knew about Yeti until moving to Charleston….but they are amazing. I am so glad that you had the tumbler on your list so that I remember to add it to mine. I don’t know how they do it, but we can’t live without ours now. They go with us EVERYWHERE, and mine is currently sitting here at my desk with ice I put in it last night at 10! Love that pom pom throw blanket! Great lists. I really like the Home Sweet Home doormat. I think the font on that one is beautiful Kari :) Much luck! These are such great ideas, Emily! 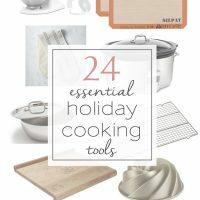 My inlaws are definitely hard to shop for, so this list will come in super handy. I absolutely love that arrow door mat from Nickel Desings. 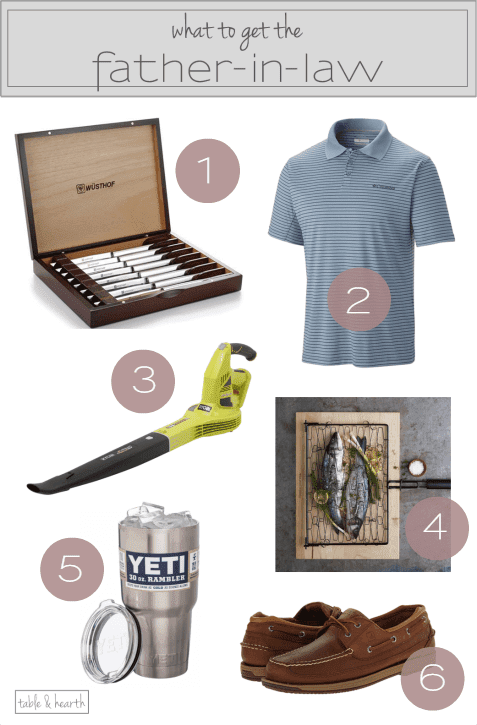 Great gift ideas here! And a great giveaway! Those door mats are so cute, I don’t know if I could pick a favorite!!! Love all the ideas… think I will put some of them on my own wish list! And I definitely love the Home Sweet Home doormat! Yay Mel!!! I don’t blame you ;) And the Home Sweet Home one is definitely one of my favorites. The “Home is Where the Pants Aren’t” mat cracks me up! My husband would love it. I love all of these ideas!! I’m always struggling to buy gift for the inlaws, and my hubby is noooo help. Ha! I love ALL those doormats, but I love the one that says “hello” in cursive. :) Thanks for the giveaway! Mine isn’t either Amanda!! Whyyyy?! Good luck! 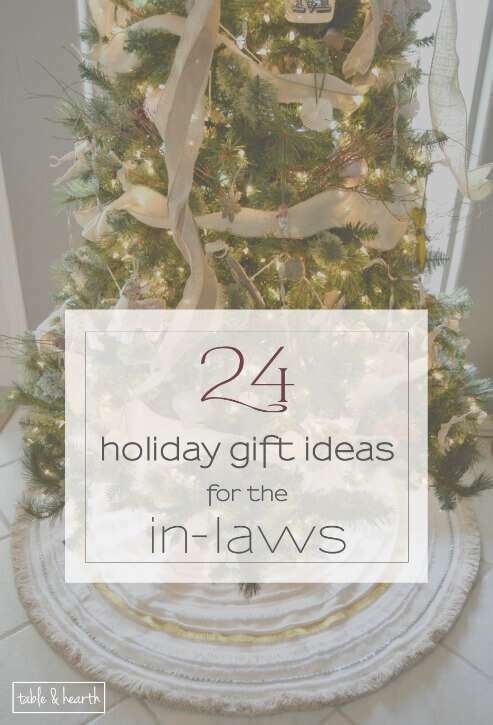 Why are the in-laws the hardest to shop for?! I struggle every time. Thanks for all the great ideas and giveaway my friend! I hope this helps a little Tara! Good luck!! I want to be your sister in law! You chose some really great gift ideas! Ahhhh! That would be AWESOME Amy ;) Thanks! My favorite is the Home Sweet Home welcome mat. There are so many cute mats! I like the snowflake and the pineapple the best. It’s so hard to choose isn’t it?! Too cute! I would choose the Custom initials welcome mat. I think that one would be a great gift Vero! The bother-in-laws are sooo hard to shop for in our family! I love the blue tooth speaker idea!! Definitely checking that out out. Thanks for the awesome giveaway! That thing is priceless around here Shonee! Thanks! I like the Home Sweet Home door mat. Thanks for your gift suggestions. Like the doormat. THANK YOU for solving the mystery for me of what a Yeti is!!! That dude sings about it in “Buy Me a Boat” but I had no idea what he was talking about! Ha!! But seriously, that Yeti and the leaf blower are really great contenders for my F-I-L and B-I-L, who are SO hard to shop for! I’m gonna figure out if they have either of those things and if they don’t, I’m ordering thru you. Awesome gift ideas! I always have a hard time shopping for the in-laws and your great finds really help me out. I try to get my husband to buy for his parents, but you know how that goes. And what a great giveaway! I love the simple “hello” doormat, it would be perfect for our mudroom door. Yes, I know how that goes :/ And that mat would be so cute in your mudroom, especially in your accent green color! I love the Heart and Home doormat. That is one of my favorites! I would choose the Tree Trio. My holiday doormat is probably on its last season……. I like shut the front door mat. I have said it to my kids so many times.. I like the good vibes only mat. It is so fun!! Great ideas! Thank you! These are so fantastic! I always struggle with what to get the hubby’s parents… and as for door mats? I love the one you chose- the script is gorgeous. But the Shut the Front Door one is pretty cool too. I love your gift ideas! Loving the SANTA STOP HERE one. So cute for Xmas!! Thanks Alina! I like the #WHOSTHERE mat. Yes! Why are the in-laws so hard to buy for? Best list ever! Yup, I know exactly what I’m getting my father-in-law now! Amazing ideas, thank you!! Yay LZ!!! I’m so happy it helped you! ? I would love the Home Sweet Home one as I feel like that one best suits my personlity. Love that one Leigh Anne! I really like the Home Sweet Home welcome mat. Thanks for the giveaway! I like the Hello welcome mat. I wonder if it could be in another color though. It’s a toss up between the “Shut the front door” or “Home is where the pants aren’t”! I would pick the Hello Welcome mat! 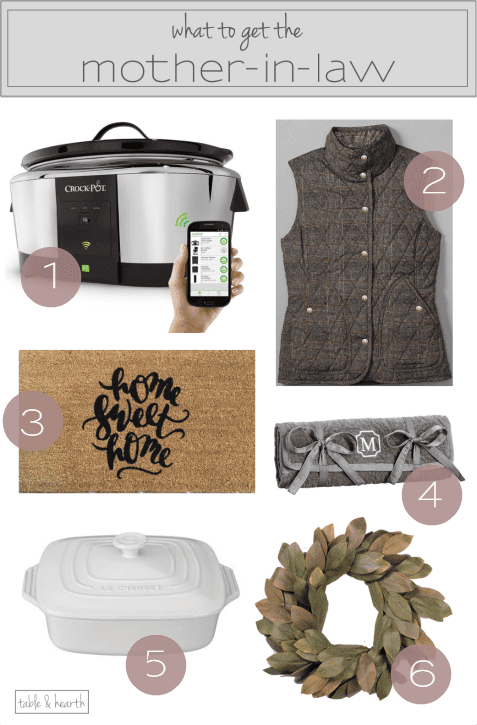 I’m definitely digging the “home is where the pants aren’t” one hahaha ;) Love this gift guide, lovely! I’m not surprised at all :) Thanks!! My husband is in the Navy, so I would choose the Anchor with Stripes Welcome Doormat…. What a great list of ideas, Emily! In-laws can be SO tough to shop for. Mine live all the way across the country so it’s hard to know what they ever need or want. Love all the door mats from Nickel Designs. I think I’d either pick the one that says whosthere or shut the front door. They’re both so funny. I love the yellow Hello doormat. The yellow is so cute! Love, love the home sweet home doormat. We just pit an addition on out home and need a sweet doormat for the entryway. I like the Birds of a Feather doormat. So happy it may help Melissa! Thanks so much!!! !